Home All News News The Top 10 Scientific Discoveries of 2016: What’s Your Pick? The Top 10 Scientific Discoveries of 2016: What’s Your Pick? The public voting poll will close on December 12, 2016. Every year, the Korean Federation of Science and Technology Societies (KOFST) singles out a significant development or achievement as the Top 10 Science News of the Year. The nomination standards include contribution to science and technology development, interest of the general public, and contribution to the popularization of science. For this year, the shortlist has been narrowed down to a list of 28 potential candidates from the latest breaking science and technology news and research achievements. 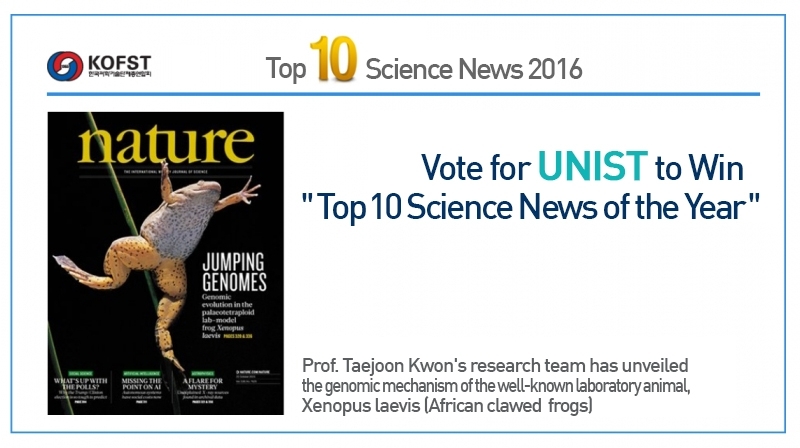 The public voting period for the Top 10 Science News 2016 opened yesterday, 29th of November and will close on December 12, 2016. The recent breakthrough by an international team of researchers, affiliated with UNIST has been chosen as one of the top 10 amazing scientific discoveries of 2016 by KOFST. 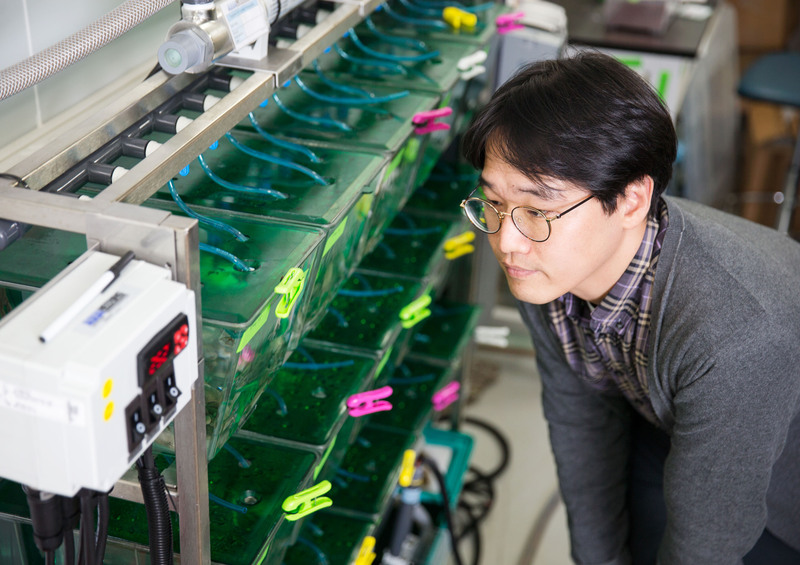 The joint research team, led by Professor Taejoon Kwon of Life Sciences at UNIST has successfully decoded the complex genetic makeup of the well-known laboratory animal Xenopus laevis, also known as the African clawed frog. 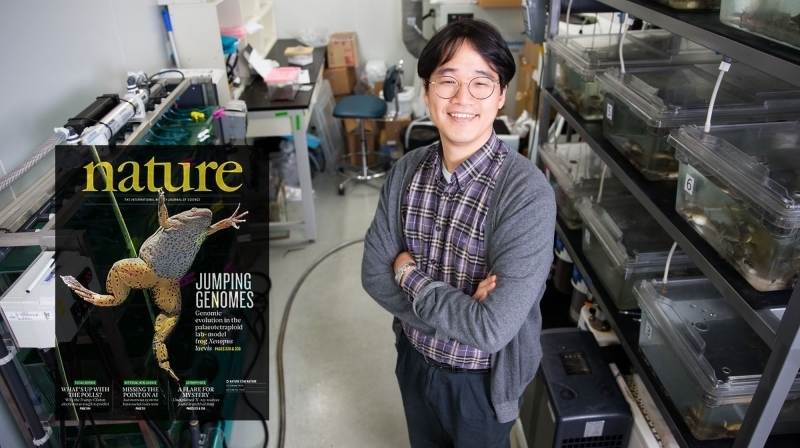 Their findings about the genome evolution of the African clawed frog have been also featured on the inside front cover of the prestigious journal Nature on October 20, 2016. 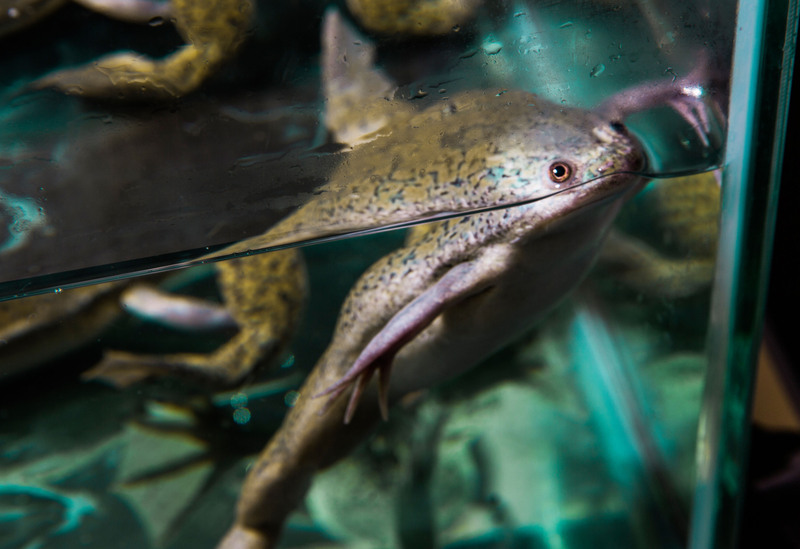 Researchers expect that the discoveries will not only help us understand the evolutionary aspect of vertebrates, but through frog research, also lead to applications in regenerative therapy. Since 2005, KOFST has been nominating top 10 news headlines every year to inspire an interest of the general public in science and technology. The 10 winners will be now carefully chosen through the the evaluation of the selection committee, consisting of experts in each field of science and technology, as well as the results of public voting poll via KOFST’s official online website. The results will be, then, announced on December 23, 2016.